I think this is a very good book and the author is a very good writer. First, Philippa is on her way to her friend’s house. They play on Robyn’s computer and see a star, so they click on it. They hear a crackling sound, then click on the mute button and they hear a humming sound. They look at the volume control and click on the star with a line through it; then they hear voices. 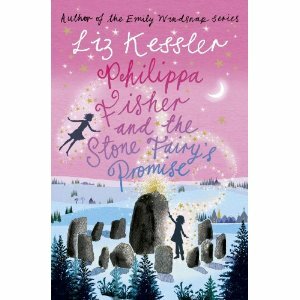 The best bit comes when Daisy and Philippa go through the portal to a place that is frozen in time to rescue the fairy that guards the stone circle; stolen from the tallest rock, by a boy called Tommy, when she was disguised as a piece of amber. I’d recommend this book to all people who like fairies or adventures.